1. Use of this site and the services accessed constitutes your acceptance of these terms and conditions, which takes effect on the date on which you first use the site. Co-ordinIT reserves the right to add to or change these terms and conditions at any time by posting changes online and it is your responsibility to refer to and comply with these terms on accessing the site. 2. You acknowledge that all intellectual property rights, including copyright and database rights, in the Co-ordinIT website, services, and its contents belong to or have been licensed to Co-ordinIT or are otherwise used by Co-ordinIT as permitted by applicable law. 3. 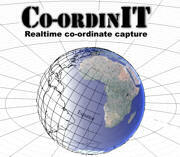 In accessing the Co-ordinIT website and services you agree to access them solely for the purpose of your organisation. The services provided are to support Co-ordinIT services and clients only and may not be passed on, and or relied upon by any other third party who is not a client of Co-ordinIT. 4 Co-ordinIT endeavors to ensure that all information and material on the website and the services provided are correct and accurate but does not accept any liability for errors or omissions, neither does Co-ordinIT warrant that use of this site and or services will be uninterrupted. 5Co-ordinIT is not responsible for the content of any material you encounter after leaving our site via a link in it or otherwise, and Co-ordinIT excludes to the fullest extent permitted by law all liability that may arise in respect of such material. 7 If these terms and conditions are not accepted in full, use of this website and services must be terminated immediately.